Yes, it happened. Twitter finally decided to up their game and rollout a massive redesign that many are saying compares very closely to Facebook. Originality aside, the new redesign is beautiful, efficient,and most importantly, a heck of lot more visually appealing. So now let's review a few of the redesign's top new features. For starter's, how about how everything is now enormous? From the full-width header image—which is one of the new redesign feature's that resemble's Facebook most, to the bigger profile picture, everything appears to now be more visual heavy. If you ask me, the focus on "big" is exactly what Twitter needed to appeal to the potential new users that spend most of their time on Facebook, Instagram and Pinterest. You can also find similarities to Pinterest in the "Following" tab, where you can now view detailed thumbnails of a user's followers (much like you would viewing pins on Pinterest). Check out what I'm talking about below. * You can now see the header image, profile photo, bio and Follow links all at once via the Followers tab. Another new redesign feature, also comparable to a recent addition Facebook made, is the ability to to "pin" a tweet to the top of your profile. Like Facebook, the pinning feature allows you to highlight a tweet that was either found significant to you, or to your followers. I like this feature, but can't help but wonder if it'll actually take off as most Twitter users flock to their Twitter homepage more so than their profile page. 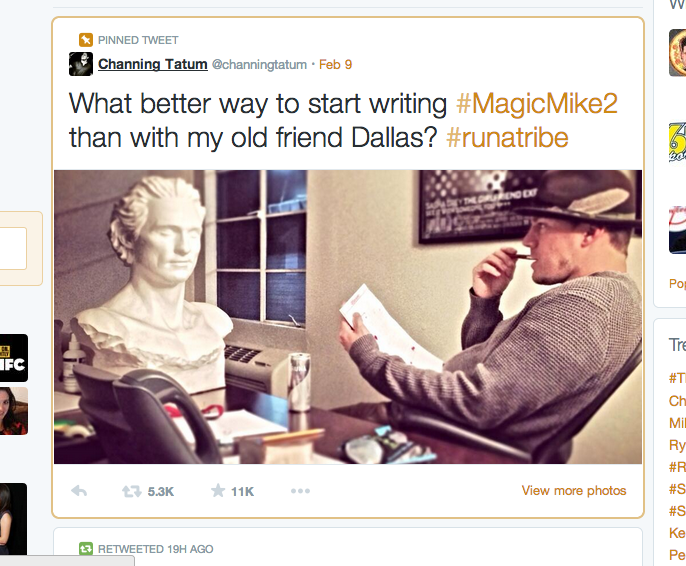 * Channing Tatum pinned an old tweet that was RT 5.3k times to the top of his profile page so all of his followers see it first. Lastly, as with all new updates to today's most popular social networks, there will be skeptics. Fortunately, I'm not one of them, but I do acknowledge their criticism. So, you can probably count on skeptics disliking Twitter's bold decision to make everything big. Perhaps size and the focus on photos will catch on as quick as Instagram did. 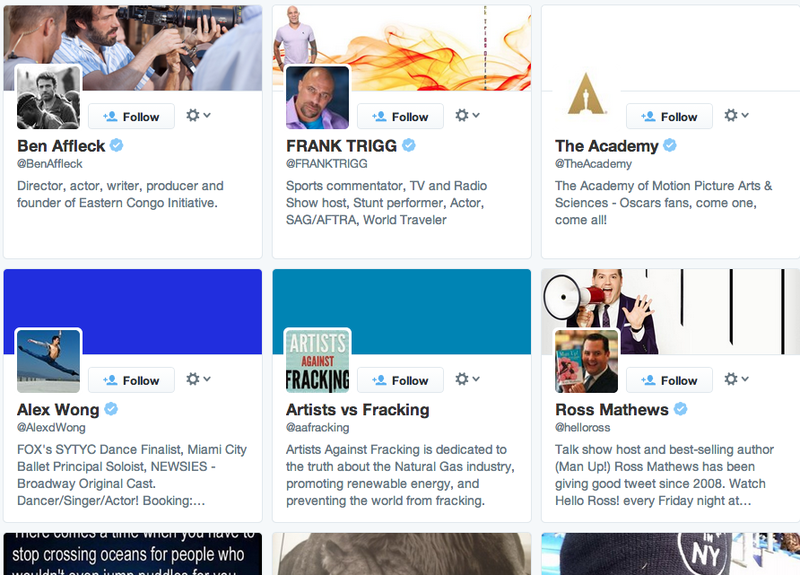 Another criticism may be the relocation of certain features like "Who to follow" and "Trends." Those changes are minor, I know. But for the most part, I get, and like, the changes Twitter made. And despite my love for Twitter and their prior emphasis on content before image, Twitter has made a large step in the right direction with this redesign. I can now see Twitter keeping pace with Facebook and Instagram, and even attract thousands of new users that prefer image over content. If you need help figuring out the new redesign, or help with your social media marketing, don't hesitate to drop us a line.